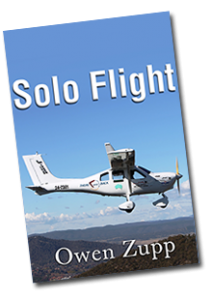 Once again, Owen Zupp’s writing has picked me up & brought me along on one of his flights, but this time it’s the series of flights that took him around Australia to raise funds for the Royal Flying Doctor Service. Flying a Jabiru light general aviation aircraft on his own, Owen visited a number of locations around Australia that had current and/or historical relevance to aviation within our vast island continent. 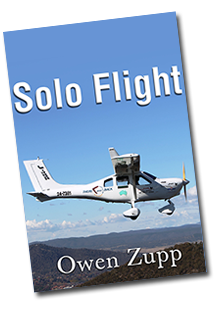 As I’d come to expect from his “50 Tales of Flight” book, Owen’s writing is able to give you the sensation that you are there with him on his adventure, sharing his experiences both in the air and on the ground. His style is flowing and conveys just the right balance of information so you understand his meaning & intent without requiring a background in aviation or knowledge of Australia’s landscape & history. While Owen’s flight was primarily a fund-raising venture in support of the RFDS, the entire flight was also a bonding experience with his father’s past experiences. Many of the locations Owen visited were not only rich in aviation history, they were also special places for Owen’s father. As his flight progresses, Owen frequently encounters triggers that bring memories of his father to the fore, whether hearing a song, seeing an aircraft his father used to fly or standing on the parade ground at Pt Cook. 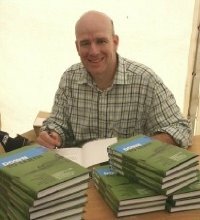 The book also conveys moments when Owen is reminded of his own career’s early days when he was a young commercial pilot building hours. Finding old aircraft he has flown parked on the ramp or flying over places where he used to fly, Owen gives hints of the life many pilots experience on their way to the airlines. From showing us the extremely diverse landscape of our country through to conveying the joy (& responsibility) of flight, this book picks you up and brings you along on an amazing journey. We are introduced to some of Australia’s rich aviation history and some of the wonderful people you can encounter in the outback & rural Australia. We are also given a view of the influence his father had on Owen’s approach to flying and the importance of his family, both past & present. Highly recommended whether you’re into aviation or not. This entry was posted in Books and tagged adventure, Australia, experience, history, Jabiru, landscape, memories, Owen Zupp, RFDS, Royal Flying Doctor Service, Solo Flight. Bookmark the permalink.